This interview is part of our series where we interview dentists and patients who have experience with dental tourism. Dr. Adin Talasman – ArtDent Total Clinique. I am a specialist in maxillo-facial surgery with expertise in implantology, periodontics and maxillo facial radiodiagnosis. I attended multiple professional, national and international meetings. 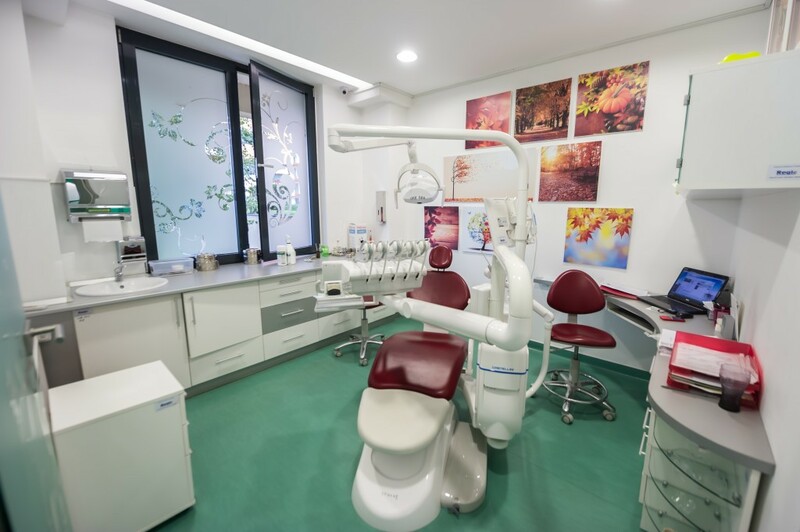 The addresses of our two dental clinics are Calea Plevnei, nr. 145B and Complex Orhideea Gardens, Bl. 2. Bucharest. I work in this business since 1995. Get a free consultation with Artdent Total Clinic. I conducted approximately 2,500 dental implants procedure, with a success rate of 99%. Most of our patients come from Bucharest from the recommendations of other patients or even doctors I work with. We are however experiencing an increase in the number of patients from abroad as a result of our dental travel packages. We can perform all types of procedures enumerated above (all on 4, bridges, bone grafts, single implants, etc.) and I can recommend all of them according to the specific needs of the patient. In the method of oral rehabilitation on implants we prefer to adopt the classic standard. After the dental extraction we wait on average 2-3 months for the post-extractional site to heal and then we will realize the implant placement. Then a period of healing and stabilization of the implant of about 4 months will follow, at the end of which we will realize the dental crown. This sequence of steps explains our high success rate of implant treatments and is the gold standard set by inventor Branemark. All our prices are on our website and can be accessed by any interested client. The price for a dental implant ranges between 450-570 euros and the price for a dental crown on implant amounts to 320 euros. An endodontic treatment will cost between 70-340 euros and a teeth whitening procedure will be 230 euros. Patients can feel free to consult our price list and contact us for a personalized treatment plan. Most of our patients pay in cash but we also accept Visa or Mastercard. How many trips to Romania are required to get an implant? There are two trips required, the first lasting 4-5 days for the insertion of the implant and the second of approximately 7-10 days. How long is the healing period? 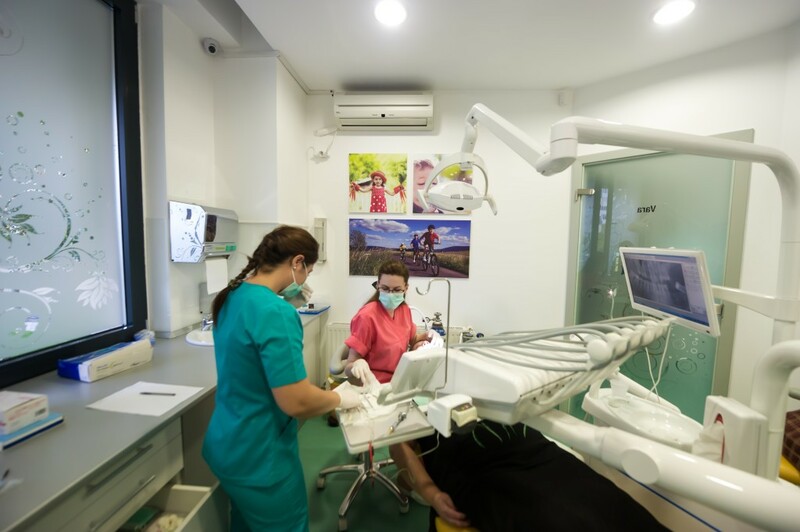 The period of time necessary for healing after a procedure for dental implant is of 4 months, after which there are other 5-6 appointments required (surgical discovery of the implant, taking the footprint, tests of prosthetic works and fixing them). What if a patient has a problem with their implant? A loose implant is considered compromised and must be removed. In some cases bone grafting can prove to be necessary and can only be established by a specialist. This could increase the length and price of a treatment session, and therefore a preliminary consultation in the patient’s country of origin could be useful in order to avoid unpleasant surprises. In this situation, if the patient could send us imagistic information like C.B.C.T for the respective zone would be of great help for us in establishing an accurate diagnosis. We request a minimum of a panoramic X-Ray. We do, indeed offer warranties for dental implants. What other costs are there for someone travelling to your clinic? We offer them transportation from the airport to our clinic free of charge. We can help arrange their entire vacation and even guided tours in other areas from Romania, according to their preferences (seaside, mountainside, palaces and castles, museums and many others) and therefore offer them a complete package for a total cost. Where do your patients stay? As I mentioned before, we help our clients find the accommodation arrangements that best suit their needs and preferences. They can give us a description of the hotel they want to check in (central or a more private area, three-five star hotel, double or single room, bed and breakfast or all inclusive, as well as other desired facilities like wi-fi. We will present them with a list to match their demands and from which they can choose the one offer they like the most. Is it safe in Bucharest? Bucharest is one of safest European capitals. Most Romanians speak English at conversational level and are willing to help and guide tourists, therefore they should not be afraid to go out and enjoy the city. No, all our staff members speak English and we also have French-speaking personnel. We have prepared an article with the most common places to visit in Bucharest and we invite all our patients to take a look at it before flying in: http://www.romaniandentaltourism.com/places-to-visit-in-bucharest. We also have a section on our website entitled “Why Romania” where everyone who is interested can find a series of articles with the most beautiful and original places to visit in our country. Bucharest is an old city with a rich cultural heritage. There are old and beautiful architectural buildings spread through the city. There are also numerous museums and various fairs and exhibitions are organized every weekend. We certainly believe this is a city that must be visited at least once in everyone’s lifetime. Bucharest has temperate climate therefore expect warm days in the summer (often above 35 °C) and cold ones in the winter (-10 to -5 °C). Late spring and early autumn are usually the preferred times to visit the capital city of Romania. If however tourists want some mountainside adventure they are welcome to visit our resorts in the winter or alternatively choose our beautiful beaches in the summer for an unforgettable vacation. Our clinics are located in central Bucharest and therefore easy to get to most restaurants serving authentic Romanian cuisine, such as: Hanul Berarilor, Caru cu Bere, Casa Doina, Excalibur , Hanul Voevozilor, Burebista Vanatoresc, Torna Fratre. I will be more than happy to answer all our clients’ questions an offer them details about the procedures they are interested in. Have a question or inquiry? Click the green button to get in touch with Artdent Total Clinic.